William P. Devereaux is a Principal with Pannone Lopes Devereaux & O'Gara LLC and leads the firm's Criminal Defense Team. 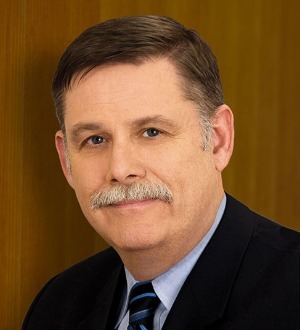 Attorney Devereaux is a prominent and highly respected criminal and civil litigator, who also has contributed considerable time and effort throughout his thirty five years of practice to provide pro bono legal representation to nonprofit organizations, and has served on several charitable boards. Mr. Devereaux’s practice has included the representation of high-profile clients, including CEOs, doctors, lawyers, and leading political figures in state and federal court. He was the first attorney in the United States to successfully negotiate a "Deferred Prosecution Agreement" for a hospital and he is the original author of "Rhode Island's Guide to Grand Jury Service." Attorney Devereaux routinely appears before the Rhode Island Supreme Court and the First Circuit Court of Appeals. In addition to representing individuals in criminal defense matters, Mr. Devereaux represents for-profit and nonprofit organizations with respect to health care fraud, money laundering, securities disputes and product liability issues. He represents clients before the Department of Justice, the HHS Office of Inspector General and Office of Civil Rights and defends individuals and agencies with respect to Medicaid and Medicaid fraud, enforcement actions and agency audits. He has also represented casino developers, municipalities and Native American Tribes with respect to gaming, licensing, permitting and contracting issues involving the Indian Gaming Regulatory Act. Attorney Devereaux is highly regarded for his ability to manage grand jury and other governmental investigations to avoid indictments or actions by regulators. After graduating from Suffolk University Law School, Attorney Devereaux served in the U.S. Navy Judge Advocate General's Corps during which time he acted as Senior Defense Counsel for the Naval Base at Pearl Harbor and as a Special Assistant U.S. Attorney for the District of Hawaii. He later served as an Assistant Attorney General for the State of Rhode Island and prosecuted organized crime and major felony cases, as well as environmental criminal offenses. As an Assistant Attorney General, Mr. Devereaux also served as supervising attorney for statewide Grand Jury matters. His extensive experience has earned the highest rank in Martindale Hubbell as AV Preeminent and he is annually selected as a Super Lawyer for his Civil Litigation and Criminal Defense practice. Attorney Devereaux is a co-founder of Pannone Lopes Devereaux & O'Gara LLC. He earned his Juris Doctorate from Suffolk University School of Law and his undergraduate degree from Wesleyan University. He is admitted to practice law in Rhode Island, Massachusetts, the U.S. District Courts for the Districts of Rhode Island and Massachusetts, the First Circuit Court of Appeals and the U.S. Court of Military Appeals for the Armed Forces. Attorney Devereaux is a retired Captain in the United States Naval Reserve.